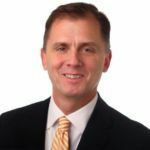 April 8, 2019 – NEWARK, NJ – Public Media NJ, Inc., operator of NJTV, New Jersey’s public television network, announced the recent election of Hans Dekker, President of the Community Foundation of New Jersey, to its Board of Trustees. Dekker has served as President of the Community Foundation of New Jersey since June 2003. During his tenure, the Foundation’s funds have granted more than $500 million to charitable causes across New Jersey and beyond, including support for tenants’ rights, juvenile justice reform, and expanded access to healthy food in low-income communities. 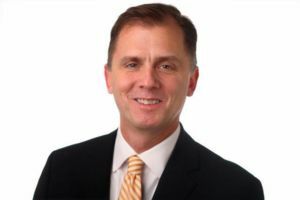 Prior to the Community Foundation of New Jersey, Mr. Dekker served for four years as the Executive Vice President of the Baton Rouge Area Foundation. He is a past chair of the Council of New Jersey Grantmakers and a trustee of the Hyde and Watson Foundation, Ohl Foundation, St. Benedict’s Preparatory School, and Miraclefeet. Mr. Dekker graduated from Bates College with a Bachelors of Arts degree in History and received a Master’s degree in Public Policy from the University of California at Berkeley. Mr. Dekker and the Community Foundation of New Jersey were instrumental in the launch and cultivation of the online news organization NJ Spotlight. NJ Spotlight was recently acquired by NJTV’s parent company WNET, enabling that organization to join forces with NJTV’s news division, NJTV News. Mr. Dekker joins the existing members of PMNJ Board, which consists of Mr. Weston, former CEO of Automatic Data Processing, Inc. (ADP); Vice-Chair Anthony Bastardi, CEO of Strategic Development Group, Inc. and its affiliate, Construction Technology Corporation; Vice-Chair Liz Thomas, co-founder/CEO of Thomas/Boyd Communications; Thomas Bracken, President and CEO of New Jersey Chamber of Commerce; Peter J. Cocoziello, President & CEO, Advance Realty; Brett E. Dearing, Partner, Cerity Partners; Sue Henderson, Ph.D., President, New Jersey City University; The Honorable Thomas H. Kean, Former Governor of New Jersey; Scott Kobler, Partner, McCarter & English, LLP; Christopher M. Lepre, Executive Vice President, Commercial Business, Horizon Blue Cross Blue Shield of New Jersey; Ann Limberg, Head of Philanthropic Solutions and the Family Office U.S. Trust, Bank of America Private Wealth Management; Tracy McManimon, Senior Vice President and Chief Underwriting Officer of NJM Insurance Company; Barry H. Ostrowsky, President and Chief Executive Officer, Barnabas Health; Mike Poncia, Vice President of Customer Operations, Pepco Holdings; Neal Shapiro, President/CEO of PMNJ and its parent, WNET; and Robert L. Smartt, Retired, Deputy State Treasurer, NJ Treasury Department and Trustee Emeritus Bernard Flynn, former President and CEO of NJM Insurance Company.